The Minister for Natural Resources and Food, Alun Davies, has defended his decision to transfer 15% of EU Common Agricultural Policy (CAP) funding from Pillar 1 to Pillar 2. It means some of the money that would have gone to farmers in Wales as direct payments will instead be spent on rural development projects. Speaking to the Environment Committee on 23 January, Mr Davies said that he is "determined to do my best to sustain and support the industry in the long-term. to deliver a financial model to ensure that producers are viable in 5 or 10 years time". He said that the need to target improvements in the agriculture industry is one of the main reasons why he decided to transfer the maximum level of 15% of the Pillar 1 budget to Pillar 2. According to the minister, a principal aim of the Rural Development Plan will be to make the industry more resilient and competitive, to build skills and knowledge and to add value to products. But the Conservative Antoinette Sandbach accused the minister of putting farmers in a situation where they are "uncertain whether they can invest in their farms". She also said that the minister's decision means that farms in Wales "are less competitive with other parts of the UK". 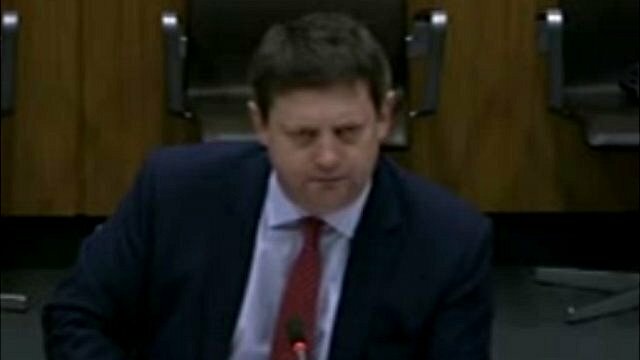 Plaid Cymru's Llyr Gruffydd also raised concerns that making a 15% cut in the budget for direct payments to farmers will have serious repercussions for their viability and competitiveness.